Citrus fruits were once a rarity and a symbol of wealth and power. Oranges are one of those fruits that were reserved for special occasions such as Christmas and you were lucky if you found one hidden away at the bottom of your Christmas stocking. In today’s kitchens, they are quite common to have on hand and come in different varieties such as navel oranges, blood oranges, Jaffa oranges, Minneola oranges and many more. 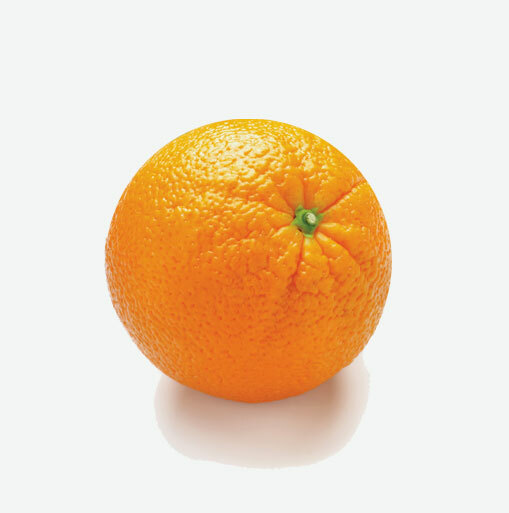 There are two categories of oranges: bitter and sweet. The sweet oranges are more commonly used and listed above. The bitter ones are used to make jams, marmalades and their zest is used to make Cointreau or Grand Marnier. Tucked underneath a sunny looking orange peel, the orange coloured segments in an orange have important nutrients such as vitamin C, folate and potassium which are stored waiting for the body to put them to good use. Vitamin C helps to protect against many forms of cancer and can help fight lower the “bad cholesterol” which can damage arteries. Vitamin C is also important in the maintenance of healthy bones, tissues and gums. Potassium helps to maintain normal fluid and electrolyte balance in the body’s cells. Studies show that people who eat citrus fruits such as lemons, tangerines, oranges and other whole foods tend to eat less at subsequent meals when compared to people who eat “lighter, more calorie-dense foods” such as chips, snack crackers, desserts or candy. When purchasing oranges, choose fruits that are heavy for their size and have a smooth textured skin. Oranges can be stored at room temperature or refrigerated depending on your preference. Either way, oranges will last up to two weeks. Their nutritional value does not decrease significantly when stored unrefrigerated. Keep in mind that an orange at room temperature will give you more juice than one out of the refrigerator. Avoid oranges that have bruises and soft spots. Sometimes these can be indications of mold or spoiling. When it comes to using oranges in cooking, with their fresh flavour, sweetness, pulp, zest and juice, they can be used in endless ways to enhance dishes such as salad dressings, soups, glazes, desserts, fruit salads and eaten fresh just as they are. Remember to wash oranges well before eating them since bacteria and dirt can reside on their skin. Cut oranges lengthwise from top to bottom into four quarters and then peel back their skin and enjoy.